If you see any of these issues in your home, contact a foundation repair expert from Atlas Pier right away. Many times, foundation problems are caused by varying moisture levels in the soil, or by shifting or expanding soils. When excess moisture causes erosion or hydrostatic pressure, the soil movement can lead to foundation settlement or crack formation. Soil shrinkage from lack of moisture or settlement form poor compaction can also lead to such foundation problems as sinking and settling foundations, or foundation cracks. These issues should be repaired as soon as possible; leaving them alone will only cause further damage to the structure. The sooner you have foundation problems taken care of, the less complicated and expensive the repair process will be. If you have a settling foundation, our team can use underpinning services to restore it to the proper position. Foundation pier installation using steel push piers or helical piers is one of the common repair methods for a sinking foundation. These piers are installed in the stable soils deep under the top shifting layers to prove stability and support the weight of the structure; helical piers are screwed into the soil, while steel piers are driven in. 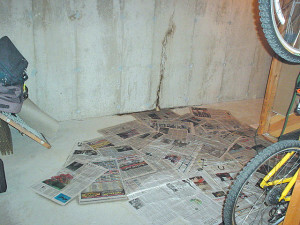 Pressure grouting is another repair option for inking foundations. This is a method in which a cement based grout is injected through holes in the slab to fill spaces under the foundation and lift it to the proper position, closing any foundation cracks. For shifting foundations that have caused your basement walls to start leaning or bowing, invest in helical tieback installation. These devices are installed from the interior of the affected wall and anchor laterally into the soil, pulling the foundation wall back into place. Another solution is to used carbon fiber strips on the wall. These strips are applied to the wall to add strength and stability and straighten the bowing or leaning portions. Both solutions help close cracks that may have developed in the foundation walls. 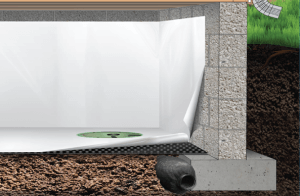 We also offer wall encapsulation to seal out moisture, keeping your crawlspace or basement safe and dry. This is process involves installing a vapor barrier to prevent water seepage. Other services we provide include: hardscaping, concrete repair, masonry repair, shoring, and micro pull down piles. Contact us today to learn more.